/ Modified nov 3, 2017 1:39 p.m. The "Spanish Timbrado" is known for its plumage and songs. Wayne Blankenship says Puff sings frequently, especially when he hears other noises at home. Canaries used to be one of the most popular pets in the United States, and although their numbers have decreased over recent decades, they continue to entertain their present-day owners. 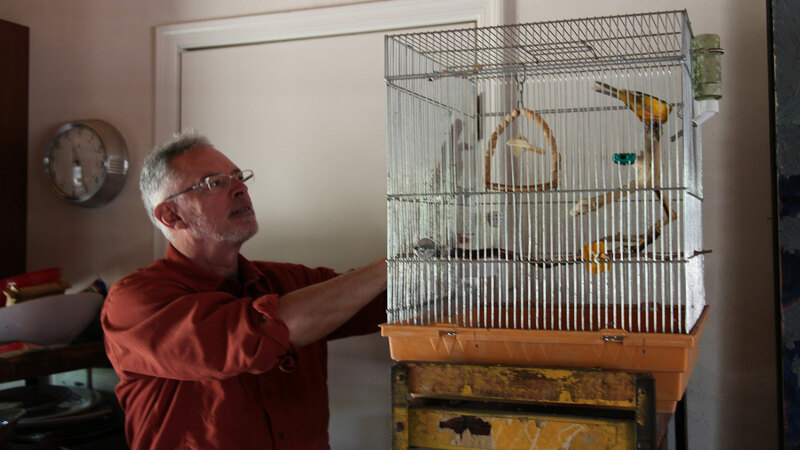 For Tucson resident Wayne Blankenship, the canary came as a gift from a friend after Blankenship had taken care of the bird for several days. The friend ceded the bird to its new home and Blankenship eventually named him Puff. Puff is an important part of the family now and makes himself conspicuous with a musical repertoire that can be heard throughout the day. "There's this range that these canaries have that just shocks the heck out of you, like 'oh my gosh, I wish I could have that kind of range' so I actually started singing more too," Blankenship said. Blankenship obtained a female several months ago and hopes she and Puff can make a connection and produce some offspring, although at about ten years old, Puff is considered a senior citizen in the world of canaries. However, even if they don't create a new family, Blankenship said he'll still enjoy their willingness to perform a wide range of tunes year-round. "I used to have primarily parakeets when I was a kid, that's what my grandmother would buy me, but then as an adult I kind of gravitated towards canaries because of the songs so I think I'll always have one or two around." 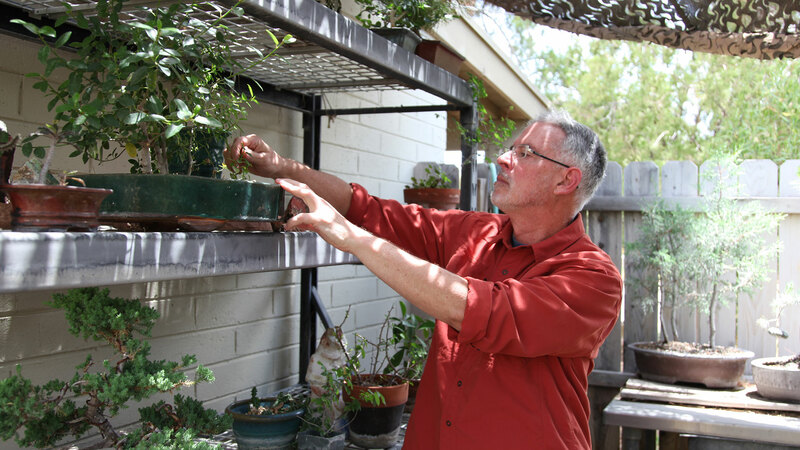 Wayne Blankenship grows bonsai in addition to caring for two canaries and other birds.